S.J. 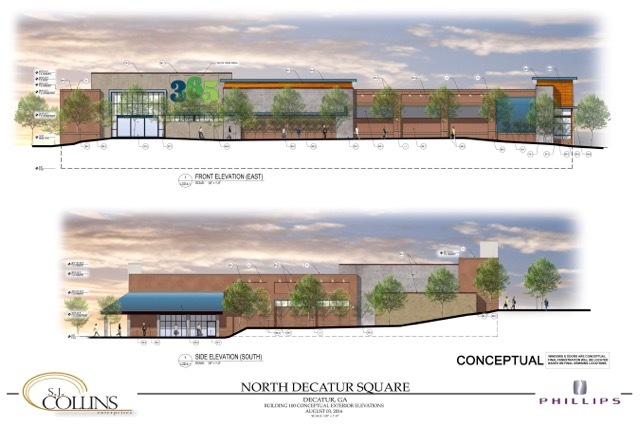 Collins Enterprises, the developer behind a mixed-use project at North Decatur Road and Church Street that will include a Whole Foods 365 store, has released new renderings for the project. 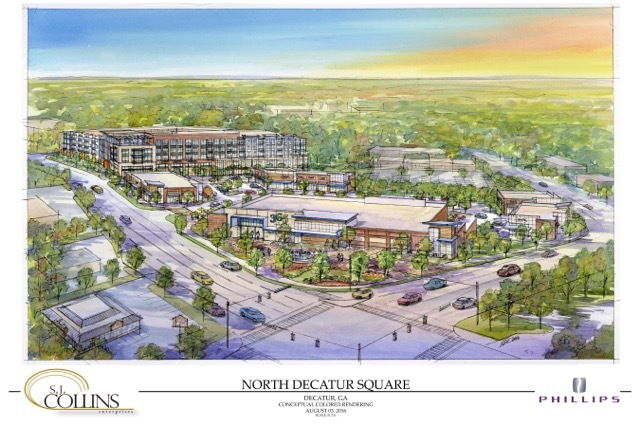 The development will be called North Decatur Square. The developer also held a community input meeting on Aug. 16 to take input about how best to use a designated 1 acre “public space” that will be included in the project. Jeff Garrison, a partner with S.J. Collins, said the company is still anticipating a decision on the zoning applications this September. No new tenants for the project have been announced. The mixed-used project would be anchored by a 365 by Whole Foods Store, the company’s discount store concept, and said it will potentially include businesses with a drive through. It will also have 200 to 300 apartment units.